Addiction is a disease that has been misunderstood for centuries as a moral failing, weakness, or flaw of character. People who suffered from addiction were made pariahs by their family and the rest of society. The dramatic increase in addiction in recent years has caused the scientific truth to be disseminated. The National Institute on Drug Abuse (NIDA) defines addiction as “a chronic, relapsing brain disease that is characterized by compulsive drug seeking and use, despite harmful consequences.” Brain scans show that there are differences in an addicted brain and healthy brain. The brain’s reward circuit is a network of structures that control feelings of pleasure. Addiction affects the reward circuit the most. The reward circuit is located in the limbic system, which control emotions. Pleasurable activities that are often necessary to live or keep the human race alive (e.g. eating, socializing, sexual activity, etc.) stimulate the limbic system. Mind-altering, mood-altering drugs also stimulate the limbic system. When people use drugs and experience pleasurable feelings, the reward circuit will drive them to use those drugs again to achieve the same feeling just as it drives people to repeat pleasurable activities that are life necessities. The brainstem is located at the lower back of brain and links the brain to the spinal cord. It regulates heart rate, breathing, the sleep-wake cycle, and other vital life functions. Drugs often affect heart rate, breathing, and other central nervous system functions by speeding them up (stimulants) or slowing them down (depressants). When people become addicted, their bodies’ homeostasis, which is the regular internal state that the body tries to maintain, gets altered. Having the drugs in its system becomes their bodies’ new homeostasis. If the addicted people do not receive their drugs, the body reacts by going into fatal, violent withdrawal. Common withdrawal symptoms include rapid heart rate, high blood pressure, seizures, insomnia, body aches, etc. The cerebral cortex is wrinkly part of the brain, which is what most people picture when they think of the brain. The cerebral cortex is divided into many areas based on their function. The frontal lobe is the part of the cerebral cortex that plays a role in higher-order thinking (e.g. decision-making, planning, distinguishing good and evil, problem solving, etc.). People who struggle with addiction tend to not make the best decisions because the drugs affect their frontal lobe. Addicted people are so focused on satisfying their reward circuit that they do not care about the means that they have to take to get their drugs, which is why crime is associated with addiction. The frontal lobe is not fully-developed until the age of 25. The younger people start using, the more likely they are to become addicted. Individual and group talk therapy is used by addiction treatment centers to help people address the psychological trigger of their addiction. Once the psychological trigger is addressed, people can start learning to cope with it without drugs and alcohol. Group therapy teaches the clients to collaborate with their peers on solving problems in recovery. Medical detoxification is necessary to get people through withdrawal safely and comfortably. 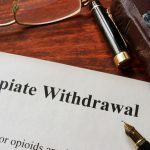 The detoxification process can last anywhere from several days to two weeks, depending on each individual’s drug of choice, length of time being addicted, gender, age, and other health factors. Biomedical therapies (e.g. acupuncture, chiropractic care, bio sound therapy, etc.) are now being used for detoxification and drug rehab to heal the body from the effects of drug use. Experiential therapy is a group of therapies that involve the clients doing a tangible activity to reveal unconscious thoughts and emotions. These include, but are not limited to, art therapy, music therapy, animal therapy, and nature therapy. Experiential therapy addresses the social aspect of addiction by showing clients that they can still have fun and be social without drugs and alcohol. Medication-assisted treatment (MAT) is often used for opioid addicts who have struggled to stay sober after multiple attempts. The drugs that are used in medication-assisted treatment are opioid replacements. MAT addresses the physiological component while the client is working on the psychological component.